It’s good to be “only” at 5450m after so much time spent higher. But at the breakfast this morning we could see the fatigue on each ones face. We’re exhausted and we’ve lost so much weight that we look scary… but we’re happy anyway. No surprise that we’re tired, just looking at the last couple of days, we climbed 18 hours on the 18-19th, skipping a night and then I went down from C4 to BC yesterday, 2150m of descent in 5:15 hours. Some porters were here this morning as planned and took some loads down to Tseram. 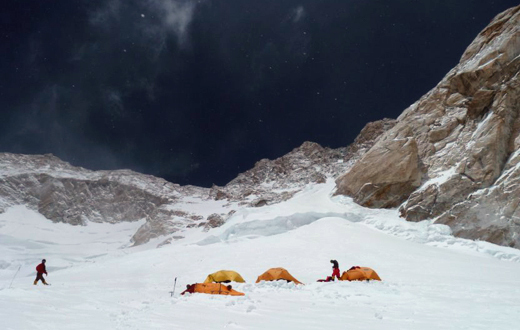 Tomorrow we will leave base camp with the rest of the porters and all our stuff – after more than a month spent here. I longer to see some “green” and smell the nature again and not live only surrounded by rock and ice. That means we have a short rest today before the long walk to Tseram, 7-8 hours minimum. 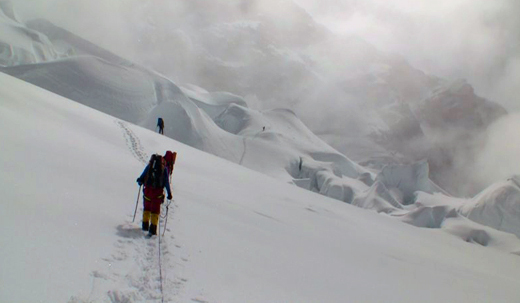 If everything goes well, we should be in Kathmandu on the 26th. 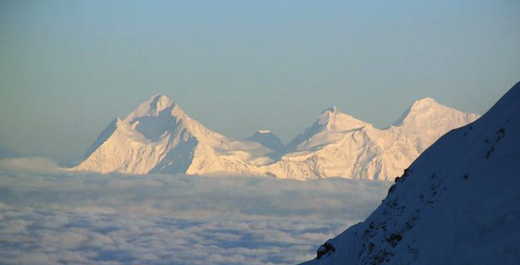 This entry was posted in Expedition and tagged Expedition, himalaya, kangchenjunga. Bookmark the permalink. Both comments and trackbacks are currently closed.